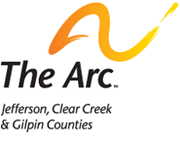 This excellent online resource offered by The Arc of Larimer County is an excellent tool to educate employers about the experience of employing people with intellectual and developmental disabilities. Developmental Disability Resource CenterThe community-centered board (CCB) serving Jefferson, Clear Creek, Gilpin and Summit counties. Colorado Developmental Disabilities CouncilNewly revised site for the Planning Council. A statewide grassroots organization of people with disabilities who want to SPEAK FOR OURSELVES on issues that involve and affect us. When to apply for Supplemental Security Income (SSI) and other resources within Social Security.